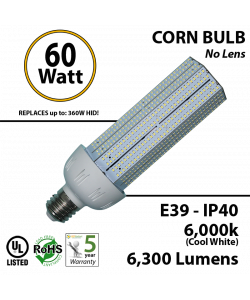 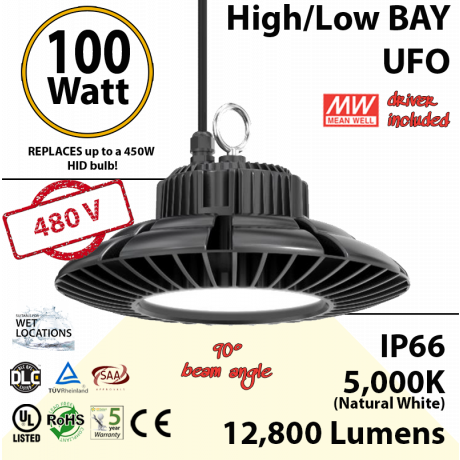 This 100 Watt LED UFO fixture equals 300 and up to 450 Watt HID Bulb which saves you up to 75% in electricity and has a lifespan of over 15 years.Phillips Lumileds. 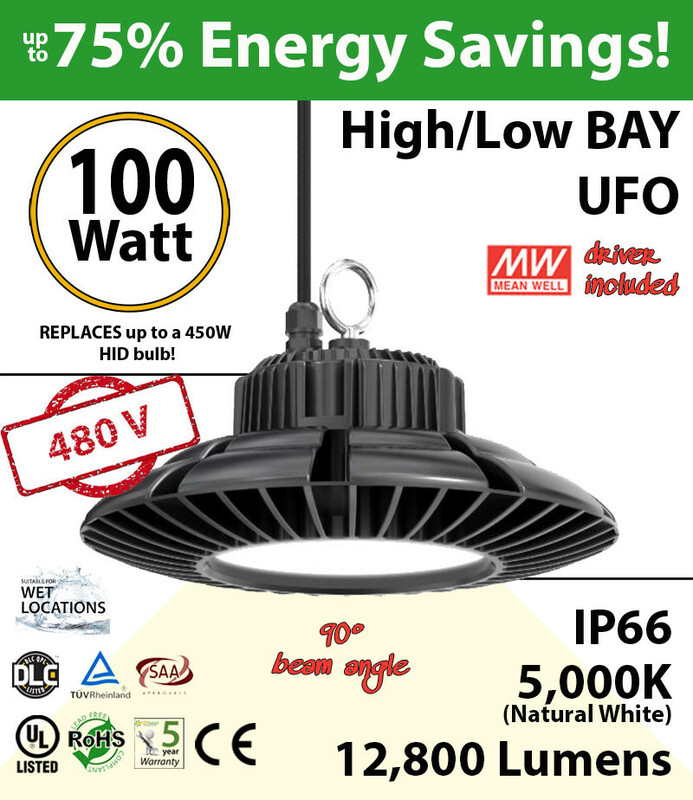 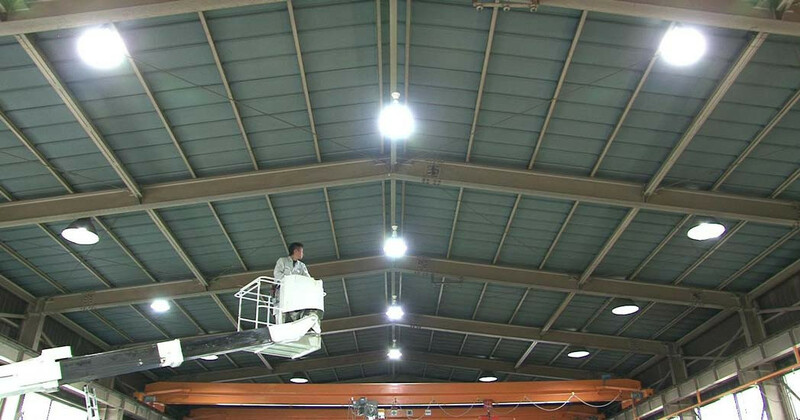 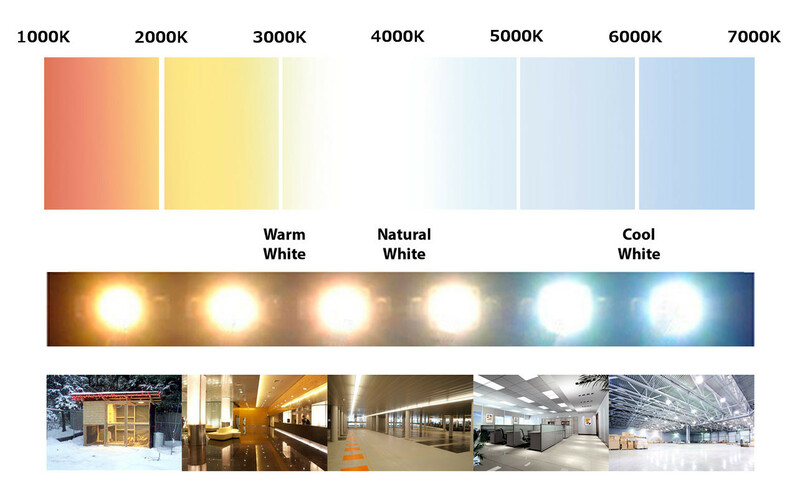 A perfect solution for High/Low Bay lighting. 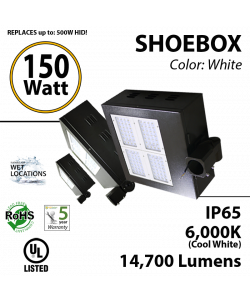 Estimated annual ROI greater than 50%. 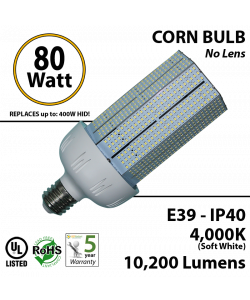 Replaces up to 600 Watts HID!